Fore! 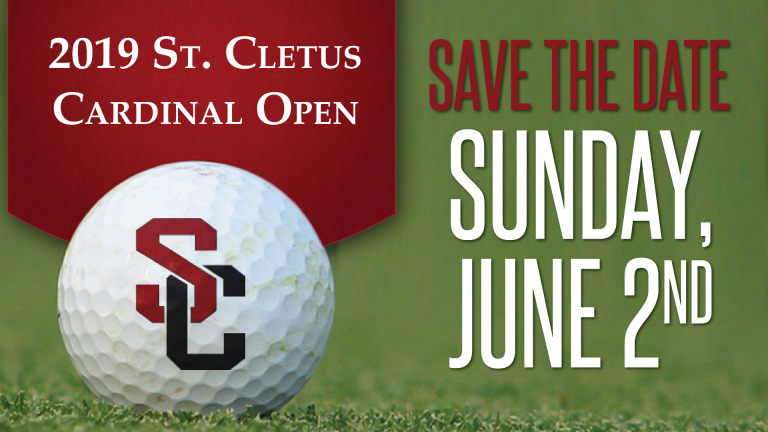 In June we kick the summer off with our annual St. Cletus Cardinal Open Golf Outing. School families, parishioners, alumni and community members are invited to join us for golf, followed by dinner, games of chance and raffles. Date: Sunday, June 2, at 12:30 p.m. Check in 11:30 a.m. Cost: $125 – Includes cart, snacks, beer/soda/water on the course and a buffet dinner with open bar. Early Bird Special: $100 per golfer/$400 per foursome if paid by April 30.